Rediff.com » Movies » Would you watch these Big B remakes? Would you watch these Big B remakes? This is Blasphemy 101, really. Like Shah Rukh Khan showed with his unintelligent Don and Ram Gopal Varma with his iconically bad Aag, nobody should try and remake an Amitabh Bachchan movie -- not even Bachchan himself. The reason for this is that Bachchan, in his element, remains impossible to replicate. And with his image impossible to shake off, it's hard to play his characters afresh. We've sat through absolute monstrosities and marvelled as he's turned them into entertainers, and his great films just ought never to be touched. And yet, as Hrithik Roshan gears up to play Vijay Dinanath Chauhan in the new Agneepath, we see filmmakers stubbornly refusing to let his legacy rest. 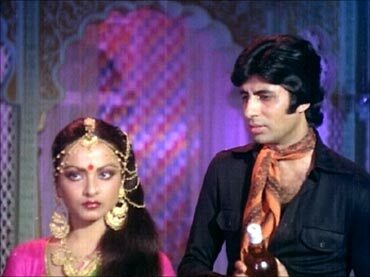 On the following pages, then, are a few Bachchan films that could conceivably be remade: either great films that fall fatally short and deserve a revision, pulpy ones that could be fun to remake all slick and modern, bad ones steeped in overblown melodrama, and even one that just needs a bad ending snipped off. Here's my list of Bachchan films that could -- not 'should,' mind you -- be remade. Feel free to disagree and list your ideas below. This 1979 Yash Chopra film, modelled by Salim-Javed on Joseph Conrad's Lord Jim, featured Bachchan as a coward, a Merchant Navy deserter hated by society. In one of his best performances, Bachchan stewed in his own guilt and carried the film squarely on his shoulders -- only for Chopra to opt for a more conventional masala ending, killing the film in the process. Who should make it: Ideally, Vishal Bhardwaj, with Saif Ali Khan or Akshay Kumar in the conventional hero role. He's the best director for human drama, and the best man to smear coal convincingly on pretty A-list faces. This wonderful pulp potboiler, also from 1979, remains one of Bachchan's most entertaining actioners. Shakti Samantha might have gone overboard with his caricatured villains, but that's all part of the fun in this campy -- yet so, so cool -- classic. 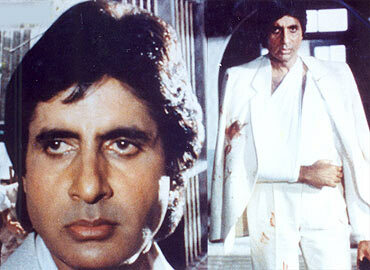 In a wonderful double role, Bachchan played Jai the gambler and Inspector Vijay, the cop trying to capture him. Who should make it: Sriram Raghavan, without question. There's enough meat in the plot for our only thriller-maker to sink his teeth in, and he'd have a blast with codes and henchmen and cabaret dancers. Sure, there's a fair bit of romance, but surely Raghavan would prefer love surrounded by counter-espionage. It's always flummoxed me as to just why Jaya Bachchan, arthouse darling hailed from a very literary family, would write this vigilante vehicle for her husband. One can't argue with the hit status, but this story of a cop greying his hair and asthmatically delivering 'who's your daddy' lines seems almost like a sadistic in-joke, timed especially when Bachchan was doing anything but acting his age. Who should make it: Anyone, as long as Shah Rukh Khan's in the lead. This script isn't ever really going to be a good movie, but it'll be fantastic sobadit'sgood fun to have Khan in a B-movie, wheezing out the lines in his own way. Shahenshah with a stutter? Bring it on. This hideously populist melodrama might have been one of Prakash Mehra's biggest Bachchan-blockbusters, but that doesn't come close to making it a good film, despite the all-star cast including Rekha and Vinod Khanna. This is a tawdry, overdone emotional tale of an orphan, his love for the master's daughter, him crying in a graveyard, his alcohol-driven fall into debauchery... and so on. Who should make it: If the overbaked emotions and those brief plotline highlights weren't enough, the parallels to Devdas should be. This is Sanjay Leela Bhansali territory, just packed with so much story that the director might not get as much time for self-indulgence. 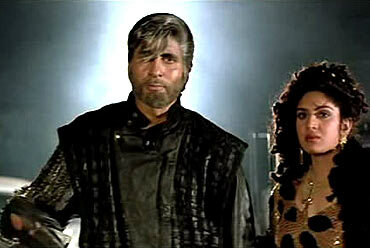 Akshay could play Sikandar, but Zohra Begum has gotta be Aishwarya Rai, baby. This Yash Chopra film is an absolute triumph, a masterpiece ahead of its time. Mainstream cinema had never confronted the extramarital affair with such stark honesty and genuine sympathy. The protagonists were real, as were their relationships. And yet that end left a disappointing taste in the mouth, as a plane-crash made all the characters suddenly return to the folds of the marriages they'd left behind. Shame, really. Who should make it: Nobody, really. From the performances to the music and the writing, Chopra's team is impossible to replicate. But as long as we are thinking wishfully, it'd be quite something to have an alternate version, a Silsila Redux, so to speak, with that planecrash ending edited out. That classic deserves to end with the murky, messy ambiguity it promises. Should Ranbir Kapoor star in Kaminey 2?